probunkers will contribute to the development of LNG marine infrastructure by providing premier and reliable LNG bunkering services. We aim to be among the early movers who will support the future of Sustainable Shipping and Green Energy. 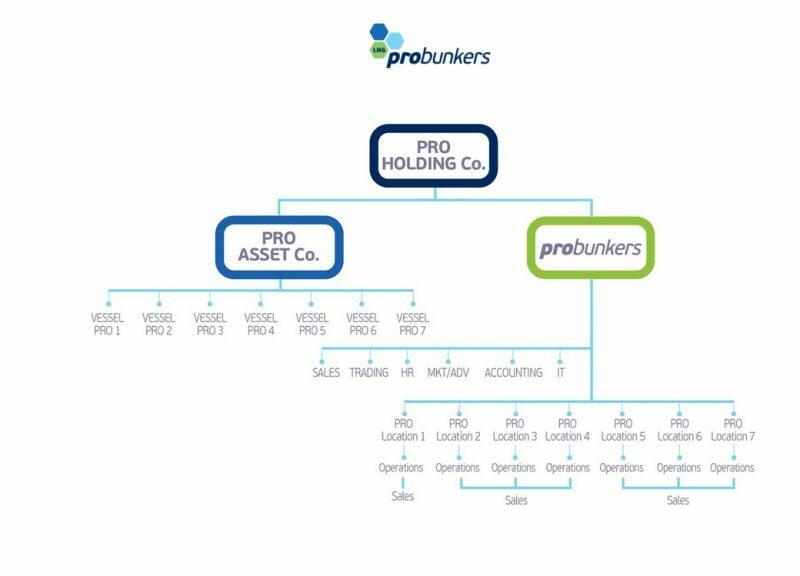 probunkers Holding was established in 2017 in Cyprus. Its headquarters are based in Athens, Greece. The company will have shareholding control over a group of companies operating in the sectors of shipping and energy. The Shipping division will design, build, own and operate a fleet of LNG supply vessels. They will all be single vessel entities owned 100% by probunkers Holding. The Commercial Companies will also be fully owned by the Holding company. The Commercial division will have presence and operate in seven geographical locations across the globe, through local branches; each of them will include operational and crewing departments overseen by three main regional trading offices with sales and customer service departments. Honest, open-minded and ethical conduct of business. Be the Best Global LNG Bunker Physical Supplier. Count on us to deliver efficiently, on time, the correct quantity at the right quality. Our customers, employees, Shareholders and the Society. The implementation of the IMO global Sulphur cap of 0.5% is less than a year away. This change will result in a gigantic and historic milestone for the shipping industry. Decisions will be made based on commercial, financial and environmental factors. LNG as a fuel, is the best available fuel solution today and for the future. According to the 2018 World LNG Report, authored by the International Gas Union (IGU), 2018 was the fifth consecutive year in which the global trade of Liquified Natural Gas (LNG) hit a new record. Natural Gas accounts for almost 25% of the energy demand already. The LNG powered fleet is constantly expanding and will be doubled by 2022. The current LNG bunker fleet of 6 vessels will be ramped up to 14 by end of 2020. The LNG carrier fleet enjoyed very good returns in 2018 and in anticipation of growing supply from increasing liquification capacity and global demand, LNG carrier newbuilding orders passed 60, 23% of the total LNG fleet. 2018 was the first full year for probunkers. 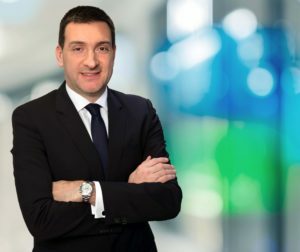 A year that was highlighted by the introduction of the company to the public during the premier global shipping event, Posidonia and the signing of a pioneering Joint Development Program with a leading organization, ABS. We look forward for a productive 2019, continuing to execute our business plan and completing our financial roadshow since the positive Independent Business Review was delivered. 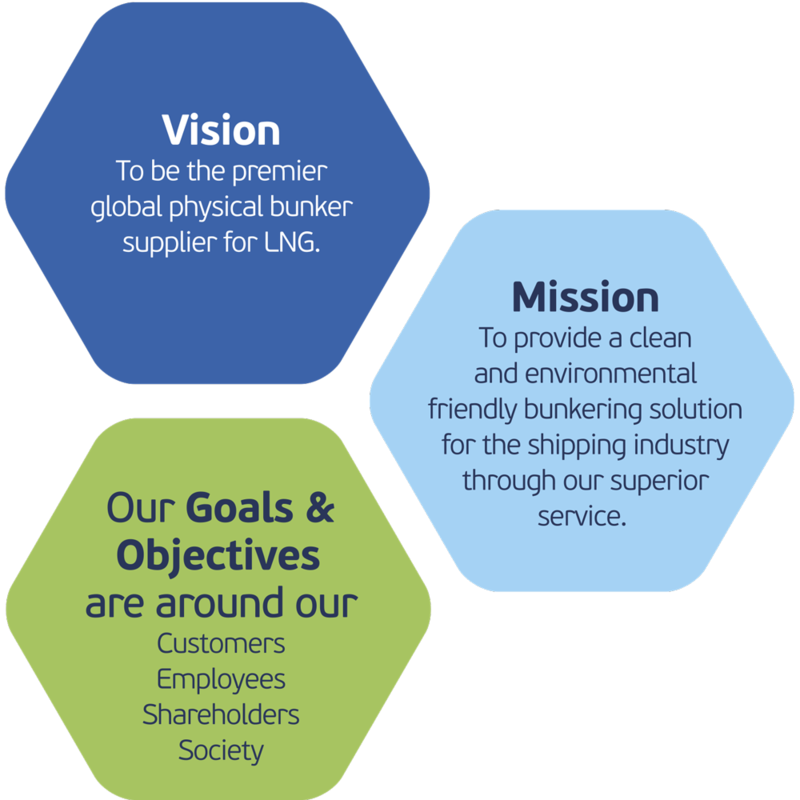 We remain focused to our Vision, to be the premier global LNG physical bunker supplier that actively supports the future of Sustainable Shipping and Green Energy. Panos Yannoulis is a naval architect and marine engineer. He has graduated from the University of Genoa, Italy, in 1970. His professional experience covers ship research, ship design, shipbuilding and project management. During his career, he was in charge, as designer, project manager or shipyard divisional director, of multimillion dollar projects for a variety of ship types and marine structures. He covered top technical managerial positions, namely Newbuilding’s Manager at Hellenic Shipyards, Skaramanga, Greece and Technical Director at Avlis Shipyards, Chalkis, Greece. Presently, he is Partner and President of OCEANKING S.A.
Mr. Yannoulis is a member of the Technical Chamber of Greece, the Hellenic Association of Naval Architects & Marine Engineers and a Fellow Member and ex-President of the Hellenic Institute of Marine Technology. Furthermore, he is ex-President of the International Maritime Association of the Mediterranean (IMAM). He is author of technical papers in technical publications and presented papers in various international and national conferences and seminars on ship design and/or construction matters. Costas Hassiotis holds a First Class Honors B.Sc. degree in Naval Architecture and Marine Engineering from the University of Newcastle-upon-Tyne (U.K.). He also holds a Master of Science (MS) from Massachusetts Institute of Technology (MIT), as well as in Management Studies (M.Sc.) from Durham University (U.K.). He began his career as Technical Manager of British Shipbuilders in Greece, until the mid-80s when he founded OCEANKING in which he is presently the Vice President. Costas Hassiotis is a member of the Hellenic Institute of Marine Technology and a founding member of the Hellenic Branch of the British Institute of Marine Engineers and Naval Architects. He is also member in many other professional bodies and Associations. 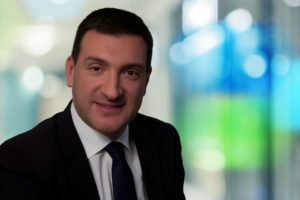 Alex Zaracoudis holds an Msc in Finance from Bentley University in Boston. He has over 20 years experience in international maritime finance, capital markets, project finance, trading, commercial management and technical ship operations. He has successfully raised in excess of $2 billion for maritime projects with international banks. He is currently CEO of Unisea Shipping, managing crude oil tankers and dry bulk vessels. Alex had executive roles in finance and shipping including Cardiff Marine, Eurofin Group, Merlin Tankers and Arista Shipping. 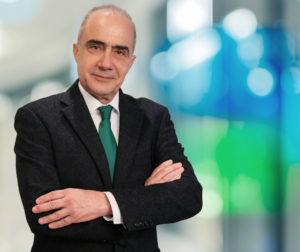 Alexander Prokopakis is the CEO of LNG probunkers Holdings and the architect of the probunkers project. 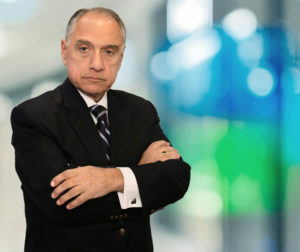 Prior to founding probunkers, he served Mamidakis Brothers Group as a senior executive, leading all of the Group’s Shipping, Bunkering and Aviation activities, through its respective companies: JetOil, JetTank and STYGA Compania Naviera. 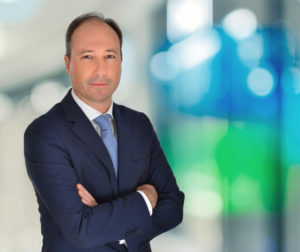 Mr. Prokopakis has over 20 years of professional experience in commercial leadership positions, over which he has attained deep knowledge and expertise mainly in the industry of shipping and bunkering. He is a Graduate of St. John’s University with an MBA in Executive Management and holds a BSc Degree in Business Management from the State University of New York.